NASA’ NEOWISE mission (Near-Earth Object Wide-field Survey Explorer) has just released a worth of survey data, characterizing 439 near-Earth objects, out of those, 72 are newly discovered. Tracking near-earth objects (NEO) is very important, once an NEO threat is known well in advance, the object could be deflected with current space technologies. 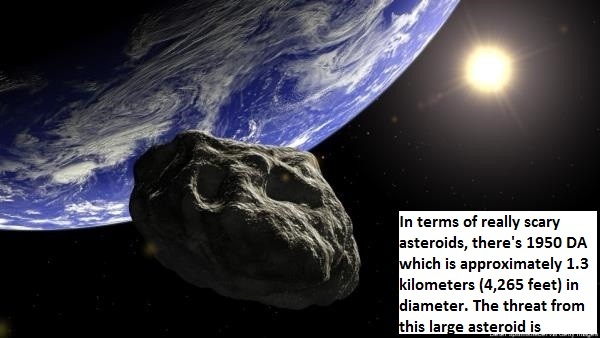 NASA knows what a space object can do to earth and its residents, this is why NEOWISE was launched in December 2009. NEOWISE’ 16-inch (40-cm) telescope and infrared cameras survey the full sky harvesting measurements of asteroids and comets and thus provides a rich archive for searching data for solar system objects. At the beginning, the spacecraft was called WISE (the Wide-field Infrared Survey Explorer) and its job was to survey the sky using infrared-sensitive cameras. But in 2011, NASA deactivated WISE after completing its search of the inner solar system. During its first mission, WISE detected more than 158,000 minor planets, out of those, more than 34,000 were new discoveries. In 2013, NASA decided to reactivate WISE but changing it names to NEOWISE, to help astronomers to learn more about the population of near-Earth objects and comets that could pose an impact hazard to the Earth. To date, NEOWISE has collected over 5.1 million infrared images and measured over 19,000 asteroids. said James Bauer, the mission’s deputy principal investigator at Nasa. Now, a new report released by NASA, and it seems that 8 objects have been classified as potentially hazardous asteroids (PHAs), there are chances that these objects may hit our planet in the future. These objects are asteroids or comets that have been nudged by the gravitational attraction of the giant planets in our solar system into orbits that allow them to enter Earth’s neighborhood. So tracking and studying them is crucial providing information about their sizes and compositions. said Amy Mainzer of JPL, NEOWISE principal investigator. If you think asteroids near Earth are uncommon, you’d be quite surprised to see NASA’s list of close approaches. But only three objects present a really, really actual threats. To rate the potential hazard of impact of a near-earth object (NEO), NASA uses the Palermo Technical Impact Hazard Scale. While there is no planned response in place to combat threatening asteroids, some ideas to save the planet include one of nuking them to pieces. Whether these methods can save the planet remains unknown. Anyway, NEOWISE will continue searching for new and exciting NEOs. Hopefully, none will hit us in the foreseeable future.